“The French authorities knew, for example—as did the Spanish—that it was Laureano who had organised and financed the abortive 1948 attempt to bomb Franco’s yacht Azor in San Sebastián’s La Concha Bay. He paid over one-and-a-half million francs, in cash, for the purchase and modification of the Norécrin 1202 aeroplane used in the attentat. The front man who purchased the plane on Laureano’s behalf was a French citizen, Georges Fontenis, secretary of the French Anarchist Federation and managing editor of Le Libertaire. The ‘La Concha Bay incident’, as it became known, was the cause of a major diplomatic row between France and Spain at the time. “In exile after Franco’s victory, apart from a brief spell as a foundry worker in Chartres and forced labour on the Nazi Atlantic fortifications, Laureano spent most of the Occupation in Paris where he played a prominent role in the Resistance. His wartime CV included attacks on German barracks for weapons and on town halls for ration cards, stamps and any other official documentation he came across. On one occasion he was involved in robbing a Post Office van carrying a large amount of cash and securities, but hold-ups were never his ‘cup of tea’. “In Paris he was one of the 4,000 or so Spaniards involved in the 21 August 1944 insurrection which held off the German army for three days until the arrival of the 9th Tank Company, ‘La Nueve’—the Spanish-led vanguard of General Leclerc’s Second French Armoured Division—to take the German surrender at the Hotel de Ville. Over 3,200 Spaniards served in Leclerc’s Second French Armoured Division, most of them veterans of the 26th Division, formerly the Durruti Column. They had joined the French army from the concentration camps in 1939, and from there they had gone on to fight in North Africa, Lebanon and French West Africa. “For those of us who remained to fight in France, our particular franc-tireur network, the ‘Manouchian Group’, had been effectively wiped out when we were betrayed at the beginning of 1944. The Gestapo arrested twenty-three of our people, of whom twenty-two were tortured, summarily tried and executed by firing squad against the wall of Fort Mont-Valérien on 21 February 1944. The twenty-third comrade, a woman, Olga Bancic, was decapitated in Stuttgart. 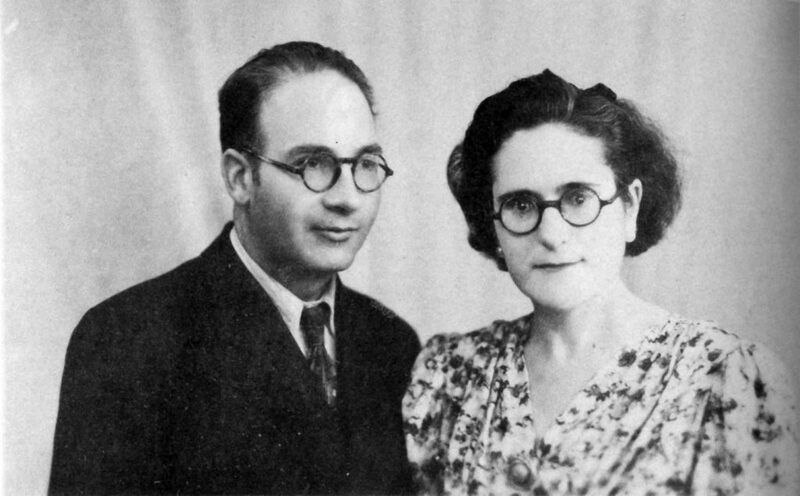 Olga and her Romanian partner, Jacob Salomon, had worked with the CNT-FAI foreign intelligence organisation procuring arms for the Republic since 1938. 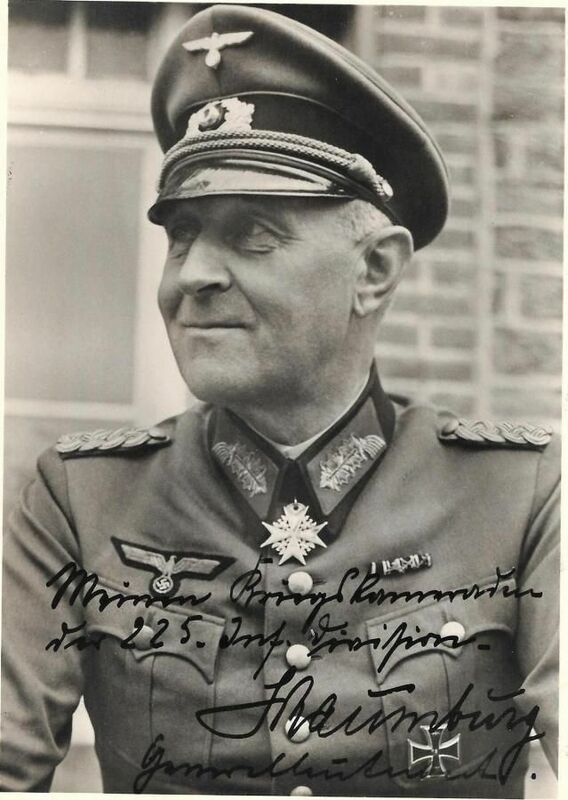 “We had scored a few little victories, however, including the attempted assassination of General Ernst de Schaumburg, commandant of the Greater Paris garrison, and the actual assassination of General Julius von Ritter, the top man in the hated Service du Travail Obligatoire (STO), the forced-labour organisation that sent non-Germans into slavery in Germany. The Nazis tried to discredit us during and after the trial by focusing on the fact that the Manouche Group consisted of foreigners —‘anarchists’ and Jews—not at all the sort of activity that decent ‘French’ folk would engage in. Fortunately, Laureano and I had been organising an arms cache down in Siradan at the time of the Gestapo raids, so we were among the few members of the Manouchian Group to survive. “Within a month of the Liberation of Paris, Laureano again proved his organisational and entrepreneurial skills by getting Solidaridad Obrera published and onto the streets for the first time in almost five years. His money helped, as did his black market and milieu connections. “When the Leclerc Division left Paris to join the drive for Berlin on 8 September 1944, Joaquín Blesa, four comrades from the former Durruti Column and myself were invited to join them to collect arms and ammunition from battlefields and surrendered German army units along the way. This inspired subterfuge was organised between Laureano and Sergeant Miguel Campos, a comrade from the FAI. Campos, a native of the Canaries serving as a section leader with the Ninth Company, headed up this hush-hush unit within La Nueve and provided our uniforms, trucks and weapons. He also arranged for us a crash-course in half-track and tank-driving, including operating the turret gun, something that proved useful when we were unexpectedly pressed into action against the Germans crossing the Moselle River. The night before we were to leave Nancy for Strasbourg, however, Campos came to our tent with safe-conduct passes signed by the company commander himself, Captain Dronne, to tell us, apologetically—but without further explanation—that we had to return to Paris the following morning. Someone had informed on us, and clearly we had become an embarrassment; our presence in the column was no longer expedient. We had already established two major caches along the way; now it was time to return to Paris, travelling back along the division’s route, collecting the hidden arms in three lorries provided courtesy of La Nueve. In this way we acquired a substantial amount of weapons, ammunition, explosives, radio transmitters and receivers, and other military matériel, enough to supply a substantial number of the 15,000 or so guerrillas who continued to operate in Spain from 1944 to 1950. “Prominent individuals on the FAI Secretariat and the CNT’s National Committee deeply resented Laureano’s standing and growing financial influence within the Organisation however, and the fact that he effectively controlled matériel that they wanted for their own power games. The fault lines were clear-cut; a collision was inevitable. “It had never been a secret that Laureano was involved in counterfeiting, the black market and various other rackets, but never drugs or prostitution, which were anathema to him. His enemies on the exiled CNT National Committee in Toulouse launched a malicious whispering campaign against him, the main accusations being that he was ‘bringing the Organisation into disrepute’, and ‘endangering its legal status’ in France. 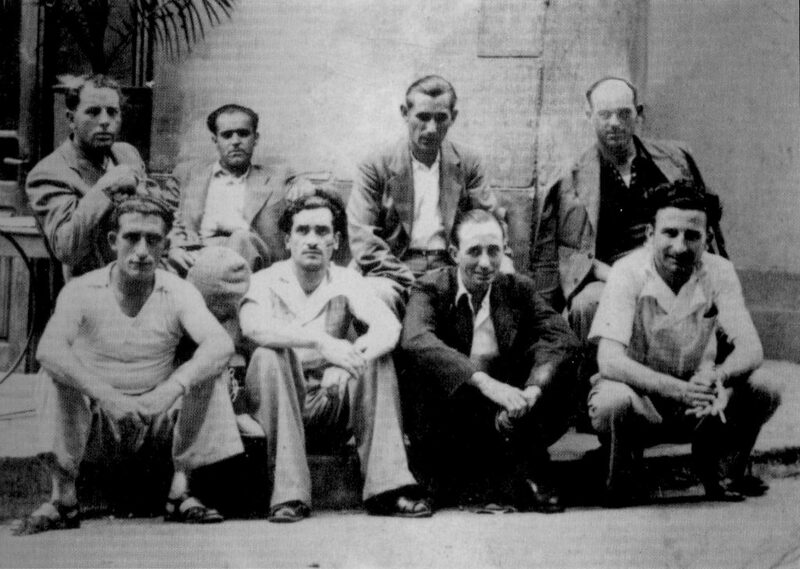 What these people—who, with one or two exceptions such as José Peirats, were sanctimonious hypocrites—chose to ignore was that the reason Laureano became the most influential and respected member of the CNT in exile between 1944 and 1950, was that he had not only been an exemplary hero of the Resistance since July 1936, but also had used his entire fortune to bankroll most, if not all, of the Spanish anarcho-syndicalist newspapers in exile, paying all their print costs—including printers’ wages—purchasing presses, and leasing most of the exiled CNT’s meeting halls. 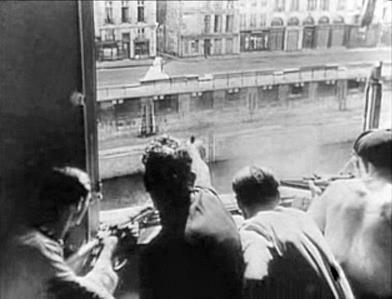 “On one occasion, towards the end of the Occupation, I attended a meeting in Toulouse with Germinal Esgleas Jaume and Roque Santamaría Cortiguera of the CNT-FAI Secretariat (which was, in exile, known as the MLE—the Spanish Libertarian Movement) who tried to co-opt me into their intrigues against Laureano, despite the fact that they and their fellow conspirators owed everything to his largesse and generosity of spirit. Wanting to know what game was afoot, I listened politely to what they had to say. “Santamaría, a bitter, power-driven, latter-day real-life Iago, nursed a visceral hatred for Laureano, whom he sought to undermine and demonise at every opportunity. The activities of the CNT’s radical sector—represented by Laureano, and largely funded and sustained by him—threatened the increasingly settled existence of the exiled union’s ‘quietist’ wing which, in any event, had ceased to function as a proper trade union the moment it left Spain. This was the reason why they needed to seize complete control of the National Committee and the International Secretariat, and remove Laureano from his position of power broker. “And while I wasn’t prepared to admit it to this pair of scheming, self-serving, manipulative lowlifes, they did have a point—one that had niggled at my conscience for many years, but with which I had come to terms in my own way—the age-old conundrum of ends and means; how to retain moral integrity and ideals, and aspire to achieving the ‘free society’ by clandestine, illicit and violent methods without risking terrible, unintended and counter-productive outcomes? “Faced with the alternative of allying with and acquiescing to connivers such as the treacherous Montseny, Esgleas and Santamaría—the ‘man who would be king’—it was ‘no contest’. We had no option but to carry on wrestling with our individual consciences, aware of our moral shortcomings and our mortality. I did report the conversation to Laureano, but he was already aware of their duplicitous machinations. “In the late summer of 1944, the national committee of the CNT in exile—without any mandate from the members—declared its support for De Gaulle’s 23 August decree that the maquisards—including the thousands of battle-hardened Spanish guerrillas of the CNT-FAI in the Pyrenees, the Massif Central and the Vercors—should either disband and return to civilian life, or join the regular army and accept military order and discipline. It was the tactic used in November 1936 by the Stalinists, bourgeois republicans and the CNT’s collaborationist leaders Federica Montseny, Juan López Sánchez, Juan Peiró and, last but not least, our old friend García Oliver, a crude manoeuvre to consolidate their various power bases and subvert the revolutionary dynamic by militarising the workers’ columns that had so successfully routed the rebel army four months earlier and launched the most truly profound social revolution in modern history. “De Gaulle issued his decree in the immediate wake of the successful maquisard insurrection in Paris, having drawn clear parallels with the revolutionary events of July 1936 in Barcelona. He was very aware of the possibility of unleashing social revolution, especially in Paris and in the southwest, which the guerrillas, mainly the remnants of the Spanish Republican Army, had liberated—with no Allied assistance whatsoever. “De Gaulle needed to prove to the Allies, particularly to the Americans, that he was in total control of a disciplined and powerful national army, and that there was no need to leave an Allied occupation force in France. By ordering Leclerc’s Second French Armoured Division to enter Paris before the Americans—defying Eisenhower’s instructions to the contrary—De Gaulle had successfully imposed his political authority and boosted his domestic popularity by ensuring that French troops were seen to have liberated their own capital. What was unpalatable to the French was that it had been Spanish Republicans who liberated Paris, a truth that remained obscured for over sixty years. “For most exiled CNT members, at the time, the priority was ousting Franco, and for that reason alone many agreed to the union leadership’s call to join the French army—on the understanding that once the last German bastions on the Atlantic coast had fallen, their units would be transferred to the Spanish border where they would receive full Allied logistical support to go into Spain and overthrow the tyrant. However, when Victory in Europe Day was proclaimed on 8 May 1945—the last German stronghold on French soil having fallen on 19 April 1945—no mobilisation orders were forthcoming regarding crossing the border, and the tens of thousands of men and women who had fought fascism unrelentingly since 1936 waited in vain for the newly created United Nations Organisation to throw its institutional weight behind the move to oust Franco. It was not to be; the spectre of communism had again risen in the East to overshadow the apparently spent force of fascism. Franco was no longer an enemy; he had reinvented himself as the ‘sentinel of the West’ and was now an ally. “In October 1944, I was chatting with Laureano in the CNT’s Paris offices at 6 Rue de la Douane (now the Rue León Jouhaux), a street linking the Place de la Republique and the Canal St Martín, when we had an unexpected visitor, Antonio Ortíz Ramírez, an old comrade from the 1920s who had organised the second anarcho-syndicalist militia column dispatched to liberate Zaragoza in July 1936. 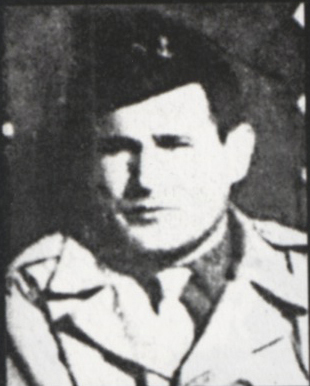 He had landed in France from Algiers with Colonel Fernand Gambiez’s Number One Shock Battalion. Gambiez had given him leave of absence to travel to Paris to find out more about the background to ‘Spanish National Union’ (UNE), the communist-led guerrilla force that was then preparing to invade Spain through the nearby Arán Valley. Laureano advised him to have nothing to do with the UNE; they had recently been involved in murderous punitive actions against members of the CNT and FAI regional committee in nearby Décazeville. Their death squads were suspected of murdering at least three anarchist militants in the area, and they had tried to murder another comrade, Antonio Tellez Solá—one of eighteen anarchists attached to the XIth Brigade of the French Forces of the Interior and the UNE itself. “Before Laureano returned to his unit he asked Ortíz, who had arrived in Paris in an army lorry provided by Gambiez, if he would take some of the matériel we had stockpiled around Paris to one of our caches in Siradan, in the High Pyrenees. The weapons came from various battlefields, American army depots and German bases, collected with the help of the comrades of La Nueve and the Spanish formations of Comité National de la Resistance (CNR). Ortíz agreed and delivered the weapons to José Pascual Palacios, the CNT-FAI Defence Secretary responsible for coordinating the guerrilla groups going into the interior. 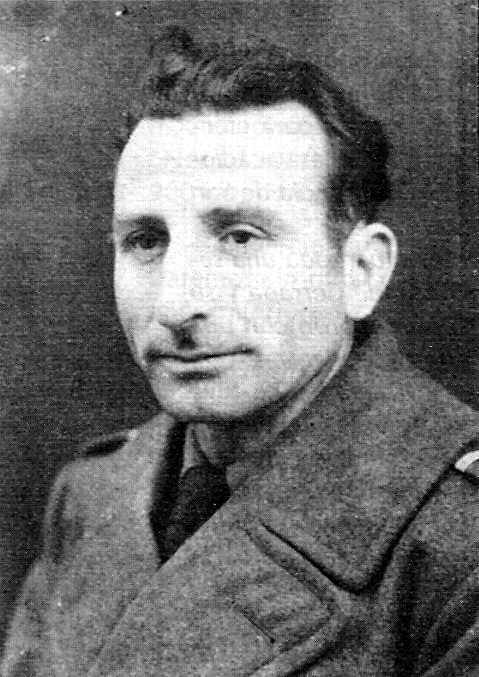 A few months later, Ortíz was wounded in battle and was finally discharged from the French army in August 1945. “At the end of April or early May 1945, soon after the summary execution of Mussolini and some of his hangers-on, Laureano received a message from Umberto Marzocchi, an Italian comrade, asking him to come to newly liberated Milan on a matter of great urgency—and secrecy. 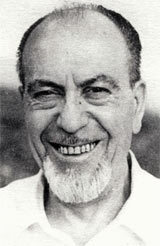 Umberto Marzocchi, a trusted friend from the days of the Arditi del Popolo, a veteran of the struggle against Mussolini’s blackshirts, had organised arms shipments to the CNT in the early days of the Revolution and fought in the Italian anarchist column at the battle of Almudévar in Huesca, on the Aragón front. 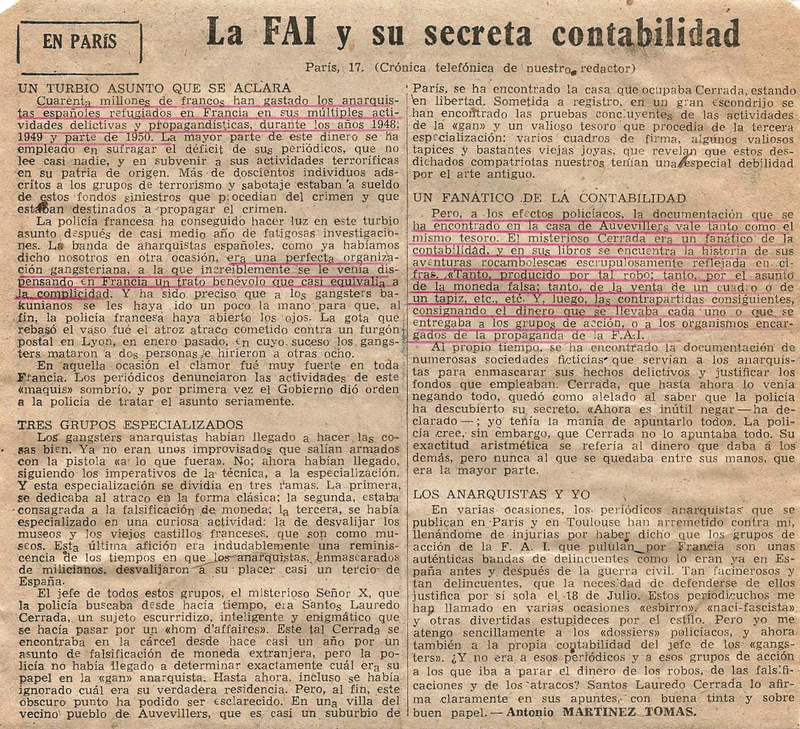 Following the events of May 1937, and the murder of Italian comrades Camillo Berneri and Francisco Barbieri on the orders of Palmiro Togliatti, the Italian Comintern leader in Spain, the Organisation sent him, for his own safety, to France as an agent of the CNT-FAI Defence Commission’s foreign intelligence section. So when Marzocchi said the matter was both urgent and secret there was no doubt in Laureano’s mind that he should go immediately. “To cut a long story short, during the fighting with the retreating German army, comrades from the ‘Malatesta-Bruzzi’ partisan units had occupied the premises of the Milan securities printer Calcografia & Cartevalori in the fashionable Via Giorgio Vasari. There they discovered a number of intaglio-engraved plates for Franco’s banknotes, ranging in denomination from 50 to 1,000 pesetas. Calcografia & Cartevalori, whose directors were long-standing fascist grandees, were under contract to the Bank of Spain’s National Currency and Stamp Works, who were, at the time, unable to produce sufficient quantities of their own high-value banknotes. “Laureano hurried to Milan and took possession of the plates, which became his most prized assets. They were what he had always dreamed of – revolutionary tools with which he intended to destabilise the regime and, hopefully, bring it tumbling to the ground. There was a problem, however. The exiled CNT-FAI leadership in the Rue Belfort in Toulouse got wind of the fact that Laureano had these intaglio plates and began pressuring him to hand them over. It was this issue of the plates’ ownership that became central to the growing tension between Laureano and the committees. “After the Liberation, Laureano—by this time a millionaire—was effectively bankrolling the CNT in exile, funding the union from behind the scenes and providing work for many comrades whom he put on the payrolls of his various enterprises. He also acquired and paid the rent for the CNT’s new Paris meeting hall in Belleville’s rue Sainte Marthe, covered the salaries and running costs of most of the movement’s newspapers and magazines—and was paying the delegates’ expenses at most congresses. Consequently, he enjoyed unparalleled prestige and exerted a profound influence within the CNT-FAI bureaucracy and among the rank and file, especially when it came to blocking the candidacy of Pedro Mateu (part of the action group that killed Prime Minister Eduardo Dato in 1921) as secretary of Coordination. The job was given to Pascual Palacios, who was Laureano’s man—at the time. “In January 1945, Laureano was elected secretary of the first Paris (and Normandy) Regional Committee of the CNT in exile, but he refused to allow his name to be included in the list of candidates for the position of CNT general secretary. The refusal led directly, and ironically, to the appointment of Germinal Esgleas, Federica Montseny’s partner Although he and Federica were in thrall to Laureano, Esgleas later turned out to be his nemesis. 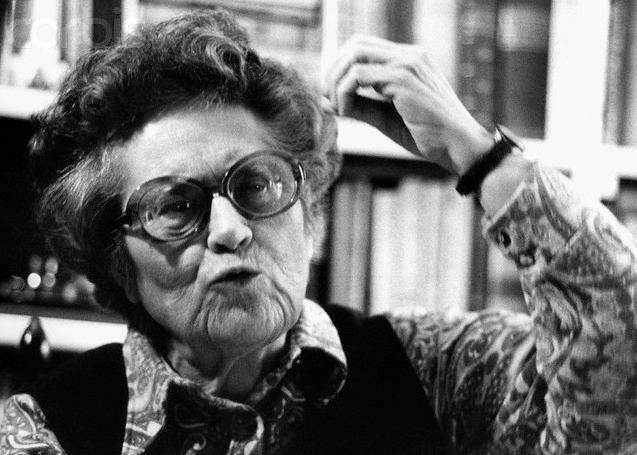 “On his return from his exile in South America, the anarchist historian José Peirats, wrote to fellow writer and historian Juan Gómez Casas, former secretary general of the Juventudes Libertarias, that he had seen Federica Montseny ‘on her knees before the “gangster” Cerrada’. He didn’t say why she was on her knees or what she was doing there, but added that Esgleas lacked the balls to stand up to Laureano. (Juan Gómez Casas had been arrested in Spain in 1948 following a visit to the CNT headquarters in the Rue Belfort, Toulouse, and was sentenced to 30-years imprisonment. He wasn’t released until 1962.) This venal pair, because of their history during the war, not least of which was their acceptance of ministerial portfolios and their counter-revolutionary role in government, were, to say the least, controversial and seriously divisive figures within the movement. 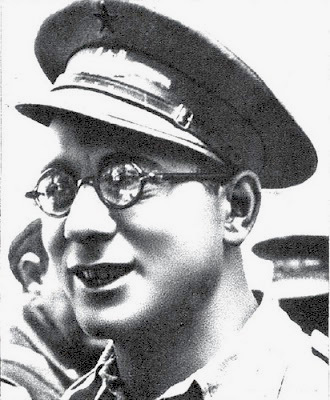 “Between them and Roque Santamaría, a former member of the Valencian Iron Column and a contender for the post of Intercontinental Secretary of the CNT, they orchestrated a campaign demonising Laureano, referring to him disparagingly as ‘The Mongol’ or ‘El Chino’ because of his slightly oriental looks. Another abusive name they had for him was ‘The Golden Calf’, the implication being he was a ‘false God’ idolised by so many of the rank and file. Their objective was to oust the ‘Cerradistas’ in a palace revolution and install their own courtiers in the CNT’s National Committee HQ in the rue Belfort in Toulouse. They also plotted, successfully, to oust Larrinaga as secretary of the FAI, claiming that he was a tool of Laureano and was using the organisation’s assets for his own ‘criminal’ ends. Larrinaga’s place was taken by one of the key anti-Cerradist conspirators, Roque Santamaría. It was a dirty, messy business indeed. “After nine months as regional secretary of the CNT in exile for Paris and Normandy, Laureano resigned to take on the job of coordinating secretary [Quartermaster] of the moribund and somewhat euphemistically named Sección Fomento, the ‘ways and means’ or ‘clandestine facilitation’ committee. His reason for standing down was, he said, because he wanted to revitalise this body in order to recover and consolidate the organisation’s scattered resources dispersed around France and Spain; by ‘scattered resources’ he meant money, logistics, and military matériel. The problem was that what was Laureano’s was almost indistinguishable from that which belonged to the Organisation. His dream was to establish a combat organisation that would fund and coordinate subversive and guerrilla actions inside Spain without compromising the único’s precarious legality in the eyes of the French authorities. Absolutely everything had to be thrown into the pot, and it was to this end he purchased, in his own name, a number of properties, including a sawmill in Saverdun in the l’Ariège department, close to Andorra and to the Spanish border town of Puigcerdà. This was just one of a number of commercial operations he set up to help fund and provide cover for the proposed clandestine action organisation. Apart from providing work for comrades, the sawmill also served as a training camp facility, a central arms deposit and an operational base for the guerrilla groups entering and returning from Spain. “In 1947, he purchased a couple of ultra-fast Vedette patrol launches from contacts in the US navy in Marseilles, which he put at the disposition of a comrade by the name of Queralt to transport men, arms and propaganda into Spain. Queralt, a FAI member, was an ingenious ballistics engineer and inventor who, during the Spanish Civil War, had come up with the idea of launching missiles targeting the Vatican from Palma de Mallorca. Personally, I thought it was a good idea given Pope Pius XI’s support for Franco, but the FAI Liaison Commission rejected it on the grounds that bombing the Pope would do more harm than good. “Laureano was not a violent man, temperamentally, and although he had been involved in a number of hold-ups he was dismissive of them as a means to an end, believing them to be counter-productive, a distraction from the revolutionary struggle, and too often costing the lives and freedom of good militants. His strategy was to topple the Franco regime by counterfeiting the peseta and devaluing the Francoist currency. It was an idea that struck a chord with the rank-and-file, and horror in the hearts of the bureaucrats who ran the committees, and in 1947 the proposal was carried unanimously by a national plenum of the CNT. 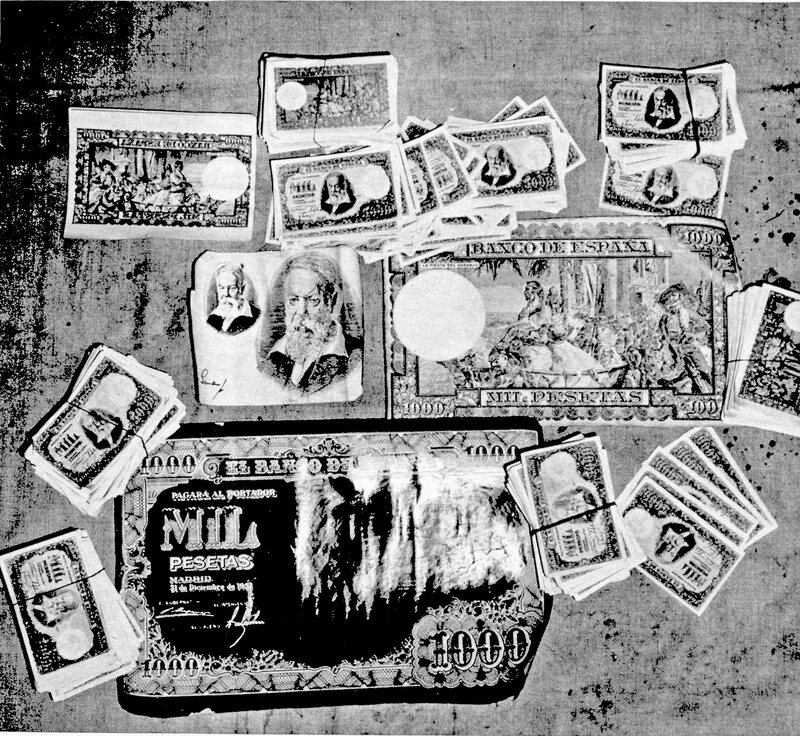 The plan was to bankrupt the regime by flooding Spain with counterfeit 100, 500 and 1,000 peseta notes using the intaglio plates Laureano had acquired in Milan in 1945. “Laureano’s man for this was Antonio Verardini, an industrial engineer and a trusted comrade of long-standing. 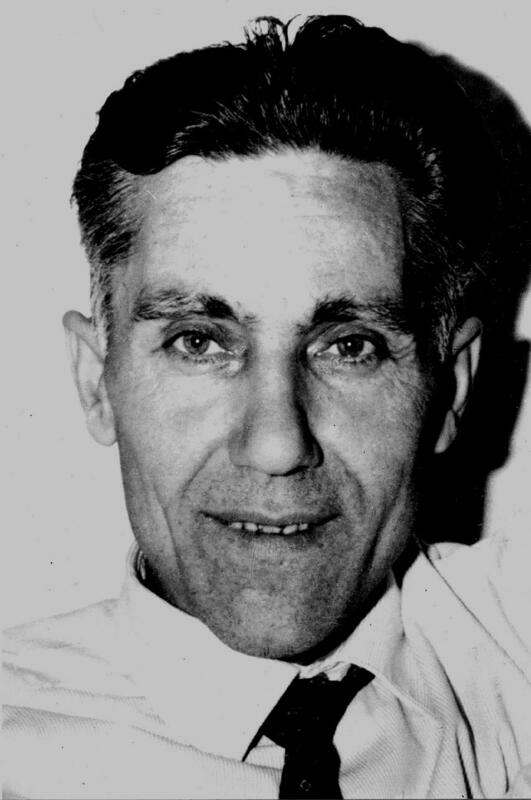 Verardini was the ‘Q’ of the Defence Commission, and of the later Interior Defence organisation (Defensa Interior – DI), for which he designed and built radio transmitter devices and radio-controlled model aeroplanes capable of carrying explosive devices. When Spain’s generals launched their coup on 18 July 1936, Verardini was serving a sentence in Madrid prison for forging cheques. After he was liberated by the CNT militias on 19 July, Cipriano Mera, his old comrade, now commander of the XIV Division (of General Miaja’s Army of the Centre), appointed him as his chief of staff, and in March 1937 Verardini played a central role in defeating the Italians and Nationalists at the Battle of Guadalajara, the last Republican victory of the Spanish Civil War. 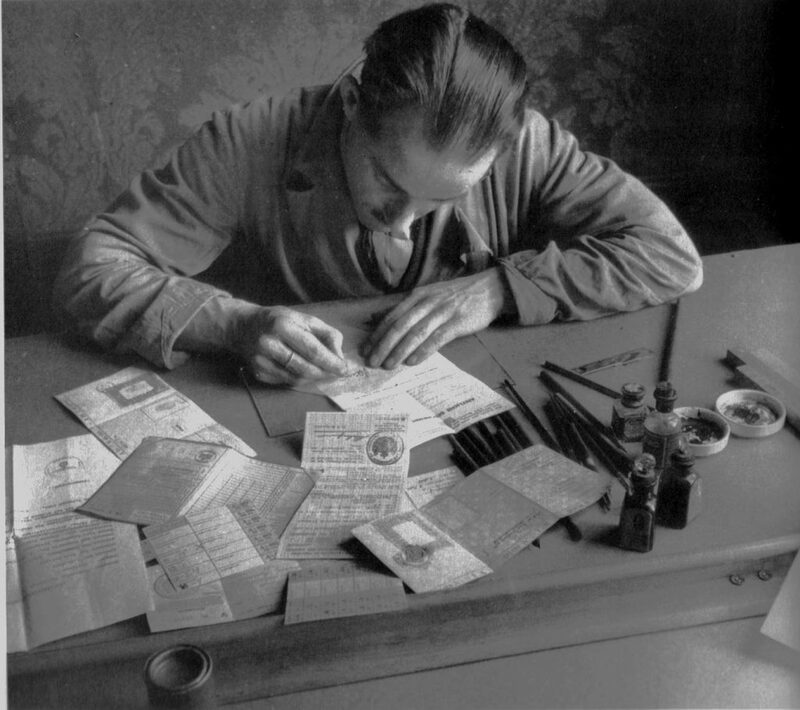 He was the ideal person for co-ordinating the counterfeiting operation and he quickly began recruiting graphic artists, printers of confidence, and purchasing the necessary equipment and the specialist inks and paper. “Verardini’s plan was to launder Cerrada’s counterfeit currency through the Casa de Moneda, the department of the Spanish mint responsible for burning old paper currency, by substituting the false bank notes for the withdrawn notes scheduled for destruction. 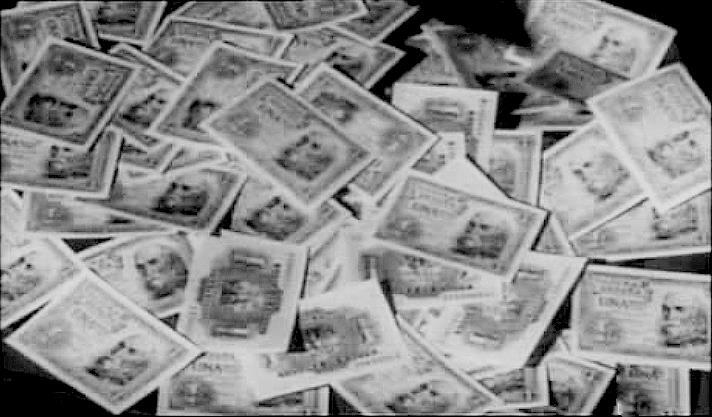 Verardini’s contact in the Casa de Moneda, the man responsible for destroying these notes, was prepared to exchange them for between 20 to 40 per cent of the cover value. 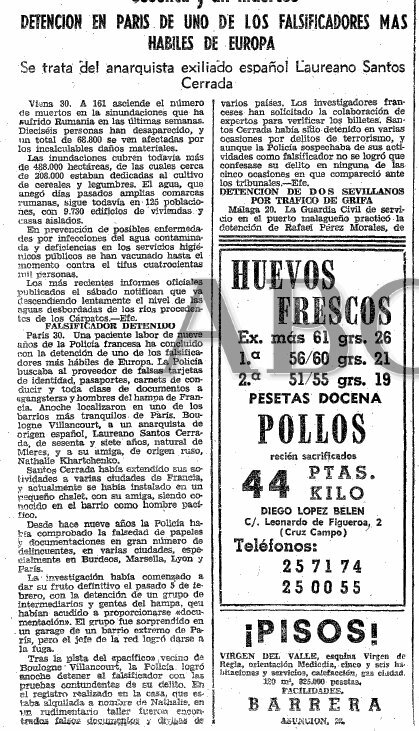 Unfortunately—and unforgivably—the National Committee of the CNT decided to issue Laureano’s notes to comrades going into Spain on clandestine organisational missions, a move that quickly led to their arrest when they used them to pay for goods and services. “By late 1948, Laureano’s extra-legal and black market activities, practices and gangster connections had brought him under increased pressure from the Esgleistas and the new FAI secretariat in Toulouse, led by Roque Santamaría. They insisted that the assets Laureano held in the organisation’s name, including the intaglio plates, had to be transferred to their control. They also demanded he abandon his quartermaster and paymaster-role in provisioning and funding the clandestine operations that were causing the official CNT serious embarrassment with their French hosts. “The exiled CNT-FAI notables—many of whom had been compromised and corrupted by Faustian pacts made in 1944 with the Gaullist secret services—were ‘quietists’, content to adapt to their situation as exiles and settle down into a passive, bureaucratic existence in their new homeland. (Esgleas, for example, maintained a long a close relationship with Monsieur Tatareau, the head of the Renseignements Généraux in Toulouse,) They had long-since abandoned the idea of pursuing the armed struggle against the Francoist tyranny, in the same way they had abandoned the revolutionary struggle by joining the Republican government in November 1936, and again in May 1937 when they called off the defence groups in Barcelona in the face of Stalinist provocation. Laureano, however, stuck to his guns and refused to give in to their demands. “Laureano was closer to the truth than he knew. His enemies, namely Germinal Esgleas Jaume and Roque Santamaría Cortiguera, broached the subject of killing him to two highly respected urban guerrilla leaders, Wenceslao Giménez Orive and José Lluis Facerias. Both men, shocked by the approach, refused point blank. Esgleas, the secretary-general, was certainly capable of conniving at murder and was strongly suspected of having the blood of a number of comrades on his hands. He had sent José Peirats into Spain on a mission that proved to be a trap—which failed—to get him out of the way to ensure Peirats couldn’t stand against him for the position of secretary-general of the CNT. “A year or so later Peirats—by this time secretary-general and highly shootable in the eyes of the Francoists—went back into Spain with Marcelino Massana to meet with the activists of the interior. It was a trip that had to be kept secret, as there was a real fear that Esgleas would again betray the mission to silence Peirats. Esgleas then spread the story that Peirats had gone into the interior to meet with Francoist agents. “Again in 1950, during Peirats’s second spell as secretary-general of the CNT, he was fingered by an informer by the name of Poncel at the behest of Esgleas. He claimed the CNT secretary-general had been involved in planning the January 1951 Lyons post office robbery, and had received millions of francs from other robberies. “It wasn’t the first time the National Committee had acted like some latter-day Committee of Public Safety. 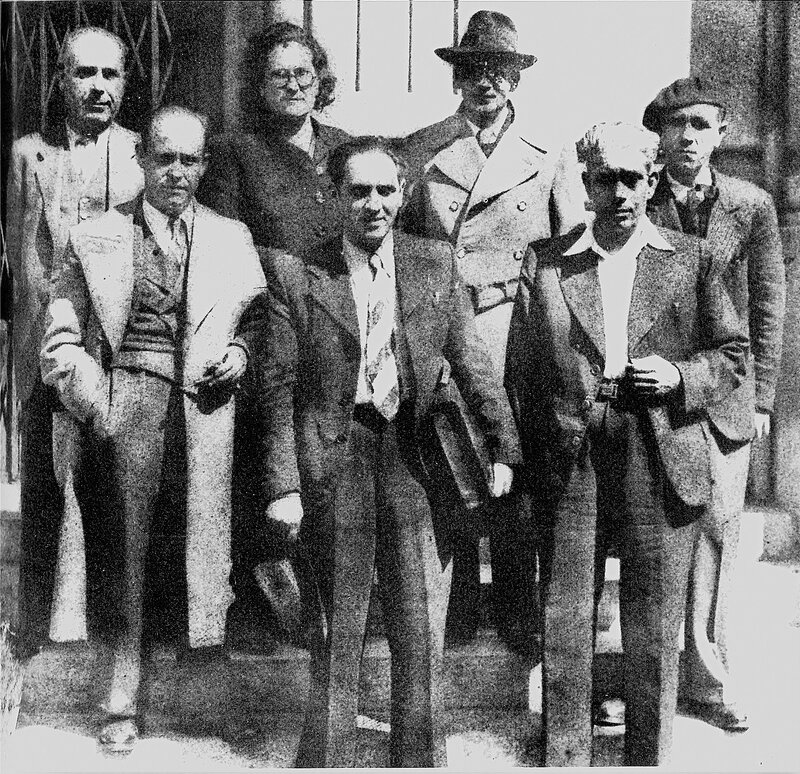 In 1938, the Catalan Regional Committee and the CNT National Committee, under secretary-general Mariano R. Vázquez, the despicable ‘Marianet’, sent eight men from Manuel Escorza del Val’s ‘investigation commission’ to France, to track down and murder two comrades of impeccable integrity. These were our old comrades Antonio Ortíz, former commander of the 24th Division, and Joaquín Ascaso Budría, former president of the Defence Council of Aragón, who had been arbitrarily judged and convicted of treason. “The plot, which involved poisoning Ortíz and Ascaso with arsenic, failed when the killers administered insufficient doses. The two men were rushed to hospital, given an antidote and survived. But the most shocking thing of all about the incident was that one of those present when the order was given was our former comrade Juan García Oliver, who failed to challenge the murder plot and who thereby, by the iron law of responsibility, became complicit in it. It also calls into question the moral character of the other members of the National Committee and those sent to France to murder Ortíz and Ascaso. “In the late 1940s and early 1950s, the growing number of bank robberies in both France and Spain by the action groups, and their incursions and subversive actions across the border, were causing serious problems for the official committees and commissions of the exiled CNT. Whenever these involved fatalities in the host country, as they occasionally did whether of the robbers, bank staff or innocent bystanders, French repression of Spanish libertarian exiles ratcheted up dramatically. In May 1948, for example, masked men attempting to rob the Rhône Poulenc factory payroll in Peage de Roussillon (Lyons), accidentally killed a guard. No one was charged at the time, but it was widely conjectured that the robbers were Spanish anarchist exiles and provoked a serious backlash against the MLE. 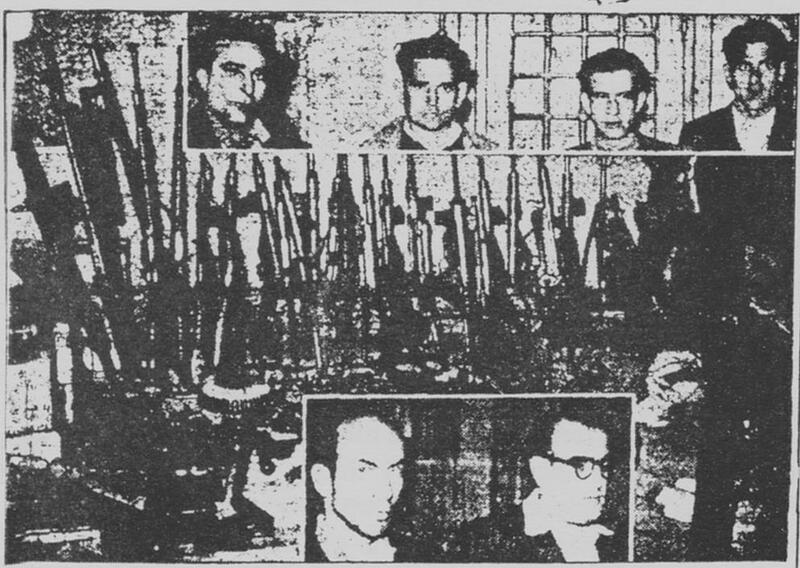 May 1949: Weapons and matériel discovered in the print-shop in the passage Goix; not being in his name, Cerrada was never charged. 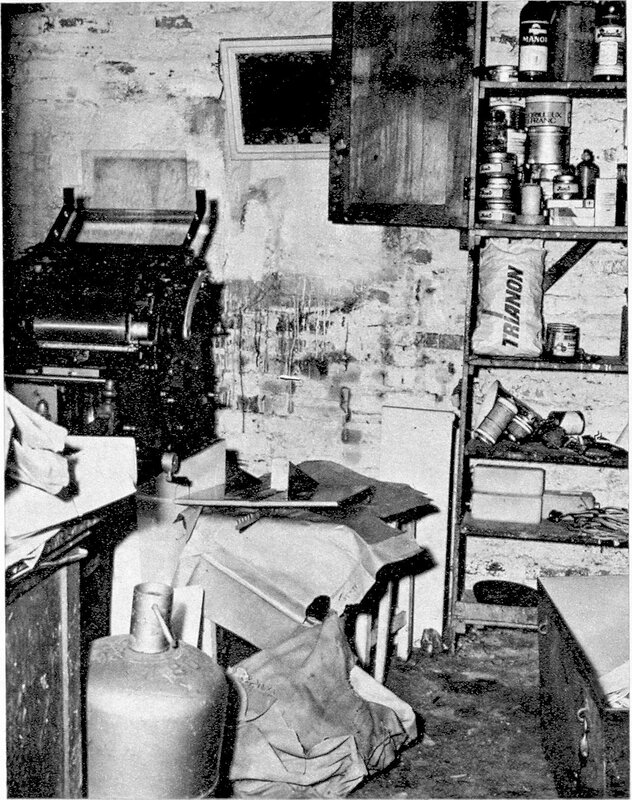 “Inside the print shop three Spaniards were concentrating on the front and rear-ends of noisy presses, which meant they didn’t hear or see ‘les flics’ enter, so when the policemen tapped them from behind and cut the mains supply to the machines they were taken completely by surprise. The detectives, however, had a greater shock when they discovered what the men were printing—counterfeit Spanish lottery tickets—40,000 of them! They had a bigger surprise when they searched the storeroom and discovered an arsenal that included thousands of detonators, twenty kilos of plastic explosive, fifty hand-grenades, anti-tank mines, a heavy machinegun, twenty-five submachineguns, four automatic rifles, four rifles, thirty revolvers and several thousand cartridges. “Again there was nothing on the premises to connect Laureano with the printshop, the arsenal or the hotel, but the police intelligence report stated that information from ‘a well-placed informer’ indicated that the operation, including the hotel, was part of Laureano’s extensive Sección Fomento. Personally, I have always been convinced that someone in the National Committee was one of these confidentes; it was in the National Committee’s interest to get Laureano out of the way for a variety of reasons—mainly, I suspect, because of his money and influence. “One Francoist infiltrator at this time—and no doubt there were others—was the Galician Miguel Vázquez Valiño, the CNT’s attaché to the JEL, the Junta Española de Liberación (an attempt to counter the Negrinist Communist Union Nacional Española) who, in 1947, served as organisational/statistical secretary of the CNT’s Intercontinental Secretariat in Toulouse. In 1950, after the betrayal and massacre of the action groups in Catalonia, he left France for Brazil and from there on to Uruguay where he ‘collaborated’ with the Francoist consuls and was a major contributor to the split that broke up the exile communities. “It was Laureano, of course, who paid the well-heeled lawyer’s fee. “By the early 1950s, relations between the higher committees of the Toulouse-based CNT and Santamaría’s new FAI Secretariat and the action groups in the front line of the armed resistance to Franco had broken down. The committees were running terrified of anything that might remotely compromise France’s legally countenanced recognition and tolerance of the CNT, the anarchist youth organisation (FIJL), and even the Iberian Anarchist Federation (FAI). After the Passage Goig arrests, however, the MLE notables—Esgleas, Montseny, Santamaría—feared they would be implicated in the growing number of armed robberies being carried out by the action groups, and the counterfeiting and other illegal and subversive—and compromising—operations in which Laureano and other so-called ‘uncontrollables’ or mavericks were involved, and so they began the process of expelling the embarrassing lifelong militants who were threatening their legal existence. “The gulf between the activist and quietist wings of the movement had widened considerably by this time. Many cenetistas had grown comfortable and apathetic in exile and didn’t want anyone or anything to rock their boat. It’s important to remember that the CNT had ceased to function as a trade union as of 1 April 1939, and had become, instead, an old comrades’ association feeding on past glories and anticipating future ones, but with no involvement in current union activity. Nor did the Toulouse notables have any recent credentials of their own, other than their shameful history of betraying the Revolution in order to fight an unsuccessful bourgeois war. “It was, therefore, essential to the Toulouse leadership that ‘their Organisation’ appear ideologically pure and unsullied, ready for the day when ‘the call’ should come for them to return, victorious, to Spain. The sort of ideological and moral compromises required by actual activity—with practicality knocking the rough edges off ideological dogma—were anathema to them. “Many of the exiles were prepared to put up with their bureaucracies and committees, interminable meetings and conferences, and so apathy, guilt, age, family and selfish interests carried the day. The illegal but constructive subversive work of the resistance was anathemised and its ‘unorthodox’ advocates marginalised or expelled. Had the ‘prominent leaders’ of the CNT bureaucracy opted to separate the legal and ‘illegal’ activities of the anarchist Defence Commission, they might possibly have been able to shake the majority of members out of their apathy, but nothing could have been further from their minds; their pernicious poltroonery and vicious denunciations of those who refused to accept their authority only accelerated the alienation and disinterest of the majority. What had once been a great, combative labour union was, by 1950, reduced to such ridiculous abstractions as arguing about what policies the organisation should adopt in the event of another world war, carefully avoiding any discussion of the war declared against fascism in 1936. These divisions, in my view manipulated by Federica Montseny and her crew, ultimately led to the splitting of the movement in 1945; it was a schism that was never properly healed. “Worse was to follow. The four-month period between October 1949 and January 1950 saw the action groups decimated. One after another, militants were ambushed in the mountains or gunned down on the streets of Barcelona. Those who weren’t slaughtered immediately under the ley de fugas were rounded up and sentenced to long terms of imprisonment, or tortured, tried by drumhead councils of war and executed by garrote-vil in a matter of weeks. That winter proved the blackest in the history of the libertarian movement, the worst since Franco’s victory ten years earlier. Confidentes close to or within the CNT’s Defence Commission and National Committee were clearly responsible for the seemingly unending ambushes and arrests across the border. Suspicion and paranoia were rife as comrade accused comrade of treachery. “As the split between activists and quietists within the exiled organisation widened, Laureano increasingly became the scapegoat for the union’s problems and subject to the venom of his detractors, even although he was not responsible for coordinating the groups, and had no prior knowledge of the missions or the people concerned. That role belonged to José Pascual Palacios, who was the secretary of the CNT’s Defence Commission and officially responsible for coordinating all clandestine and ‘conspiratorial’ activities inside Spain. 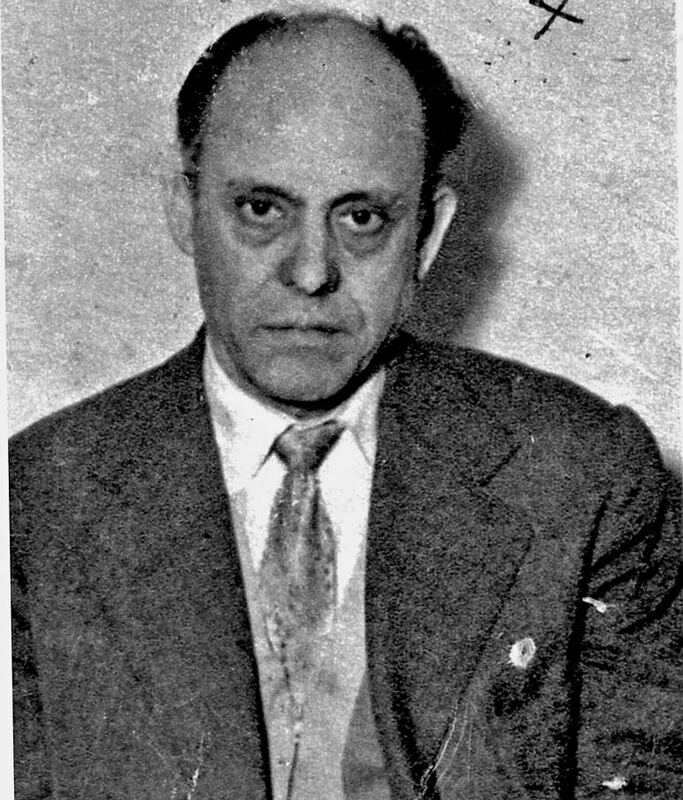 Pascual Palacios had been a close friend and collaborator of Laureano, a ‘Cerradista’ as they were known, from 1944 up until 1950 when he unexpectedly sided with Esgleas and Santamaría during their final takeover of the National Committee of the CNT. Laureano felt deeply betrayed by Pascual Palacios when his old friend failed to come to his defence during the process of his expulsion; they never spoke again, although they did meet by accident on occasion. “The final confrontation occurred when one of Santamaría’s agents stole the disputed intaglio plates in Paris after worming his way into Laureano’s confidence and took them to Toulouse. He intended to hand them over to the local FAI controlled by Santamaría. Laureano’s men caught up with the thief at the Toulouse-Matabiau metro station, where they ran into armed men from Santamaría’s faction of the FAIwaiting to collect the plates. It ended in a farcical Keystone Kops-type chase, with two armed gangs chasing each other up and down the Allées Jean-Jaurès and the Rue Bayard, each trying to out-intimidate the other. In the end, Laureano was obliged to travel down from Paris to negotiate a resolution to the situation. Both factions met halfway between Toulouse and Montauban, where the plates were hidden and where they were destroyed, in the presence of both parties. “Another incident that was to affect Laureano’s fortunes and those of the action groups in France occurred on the afternoon of Thursday 18 January 1951, when a black saloon car drove in front of a post office van as it left the Lyons sorting office in the Rue Duguesclin. Three men carrying submachineguns leaped from the car and ordered the driver out of his cab. Things took an unexpected turn for the robbers, however, when two armed guards emerged from the rear of the van—an obviously unplanned-for contingency. Hesitating for a moment, the robbers decided to make their escape and ran to their car, stopping to give themselves covering fire. Unfortunately, one of the guards was shot dead in the ensuing firefight and the other died a fortnight later. Nine innocent bystanders were wounded, including a sixty-four-year-old woman, who died a few days later. “Within days, the French police had arrested and charged three young Spanish anarchists, all CNT members, with the robbery. A fourth committed suicide before he could be taken into custody. 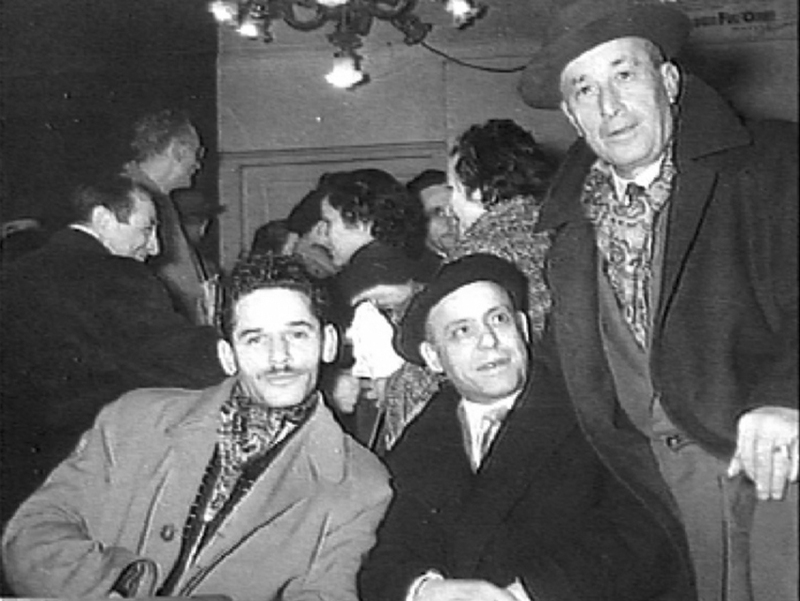 One of those arrested, Francisco Bailo Mata, the suicide’s brother, signed a police statement that Francisco Sabaté Llopart, ‘El Quico’, had been involved in the 1948 Rhône Poulenc robbery, a connection that added even more hysteria to the media coverage. As well as informing on El Quico, he told them that Laureano was the mastermind behind a thriving trade in ration cards and false residence documents, which he was selling for 800,000 francs each, as well as being involved in arms- and gold-smuggling. “The French press had a field day with the story, dedicating banner headlines, front pages and editorials to dramatic illustrated accounts of the ‘Spanish Gang’ and their ‘trail of death’. Never ones to miss an opportunity, the Francoist press launched a media campaign demonising the exiled Spanish libertarians. The bottom line was that the French authorities clamped down hard on the Spanish exile movement, arresting over 100 comrades, and harassing, interning and sending into internal exile hundreds of others. The examining magistrate’s investigation into Laureano’s business affairs led to the police uncovering many of his labyrinthine holding companies and related bank accounts which, they claimed, held deposits of hundreds of millions of francs. Across France, police raided and closed his print shops, including the CNT’s flagship print shop in Evreux, hotels, transport companies, and even a chain of shoe shops run by Laureano’s close friend Pedro Moñino. They also confiscated his fleet of lorries and high-speed motor launches. The investigation led to the feared Police Judiciaire (PJ) raiding a hangar at the civil aerodrome of Guyancourt on the outskirts of Paris, where they discovered the aeroplane used in the attempt to bomb Franco from the air in 1948. “Laureano’s enemies on the National Committee—Federica Montseny, Miguel Celma, José Borrás, Florentino Estallo, Angel Carballeira, José Peirats and Roque Santamaría (the latter by then on the Inter-Continental Commission)—now felt they had the excuse they had been waiting for, and , in January 1950 Laureano was finally expelled from his beloved CNT, the union to which he had dedicated his entire adult life. The charge against him was the use of ‘inadmissable methods’. Even so, expulsion couldn’t extinguish his dynamism, his imagination or his idealism—or deter him from pursuing his objective of toppling the tyrant. “Although no longer the Secretario de Fomento or allowed to attend CNT meetings—even socialising with him was frowned upon—Laureano was still immensely wealthy, well-connected, and knew where both the bodies and the arms were buried. He also had the respect and trust of most of the committed and experienced activists and guerrillas who formed the core of the anti-Francoist resistance—the Apache sector. 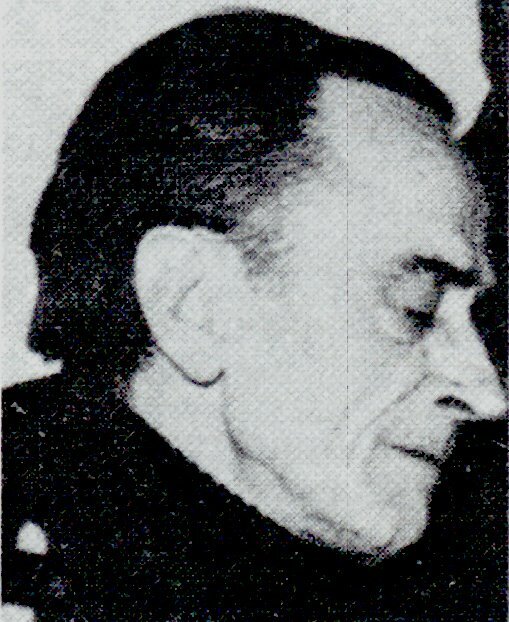 “Released from prison in 1954, Laureano was soon back on his feet, and by the spring of 1955 he was working with Sabaté and other activists in the Iberian Federation of Anarcho-Syndicalists—again to avoid compromising the legal position of either the FAI or the CNT in France. When those organisations made clear their displeasure at the choice of name, it was renamed the Federation of Anarcho-Syndicalist Groups—which continued to be denounced by the national committee. In spite of their differences, it never occurred to either Cerrada or Sabaté to set up an organisation in competition with what they always regarded as the ‘parent body’. They belonged to the CNT body and soul, even though they had been expelled and disowned. Their overriding concern was always to act, to make the union an effective tool in the class struggle and against fascism. The committees accused them and their paper, El Combate, of splitting the movement, while their actions inside Spain were denounced as irresponsible, lacking common sense and a usurpation of union authority. “The ‘specific’ (action) commandos of the Anarcho-Syndicalist Groups finally ceased functioning in 1957, following another clamp-down by the Renseignements Généraux, which saw Sabaté going to prison for twelve months, with a subsequent five years of restricted confinement in Dijon. Laureano also went to prison on a charge of possessing ten million counterfeit Spanish pesetas. “Francisco Sabaté Llopart, a.k.a. El Quico, was finally killed in a shootout with the sometent in the Catalan town of San Celoni on the morning of 5 January 1960. He had been seriously injured the previous day in a Guardia Civil ambush on a hill near Gerona in which four other members of his group died. The likelihood is that he had been betrayed in France. “Laureano continued to influence and fund the clandestine struggle, but from the sidelines, and when, in 1961–62, the secret planning organisation Defensa Interior (DI) took over responsibility for the armed struggle against Franco from the Defence Commission, Laureano became an important supporter in terms of providing finance, weaponry, documentation and introductions. Even then, his name still couldn’t be mentioned openly. A couple of us, namely Luis Edo, Lucio Urtubia and myself, were given the job of ensuring that former old friends Laureano and José Pascual Palacios—a member of the DI—never came face to face. They did meet on one occasion though. Laureano, Edo and I were having coffee at a terrace table in the Place de la Republique when Pascual passed by, saw us, came over and sat down, but without a flicker of recognition that his former friend Laureano was seated directly opposite. We talked for a few minutes—the conversation was slightly strained for obvious reasons—and then Pascual stood up and continued on his way, without a word or a nod to Laureano. There was too much history between the two men.